While we won't condone the unconventional behavior that its name implies, we will recommend the highly functional, summer option that Olympia will release for 2013. 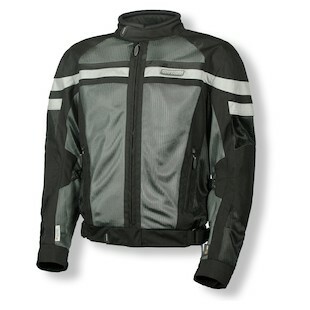 The Olympia Renegade Jacket and Pants are a very basic, but necessary, component to a rider's gear closet. One of the first things a rider learns when rejecting the doctrines of 4-Wheel Cagism and defecting to the 2-wheel faith is the increased effect that temperature has on your riding comfort. The Renegade is designed to provide maximum airflow in the summer months without compromising on protection. Cut from a combination of 500D Cordura fabric and ballistic Nylon mesh, the Renegade features a clean retro style with a twinge of attitude. As usual, Olympia ensures that you will not go unnoticed by including 3M Scotchlite piping, as well as offering a high-viz option. In addition to the Black/Silver pictured above and the High-Viz option, the jacket is available in a Silver/Black, Black/Red, and Black/Blue. 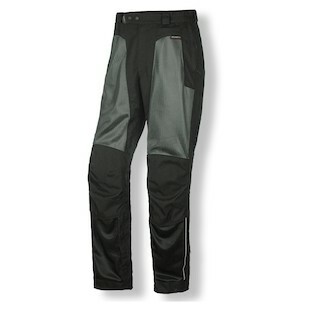 The Olympia Renegade Pants come in just two colors: Black/Pewter and Silver/Pewter. The pants feature a boot-cut bottom as well as Olympia's EZ Hem system that allows for a quick length alteration by a tailor or your local seamstress. While there is an 8" connection zipper to the jacket, you can also use a belt through the provided loops to secure the pants. Basic doesn't always mean cheap and cheap doesn't always mean low-quality. The Renegade will come in firmly under $200, providing excellent competition to the current air-mesh market.